Our build and release pipeline is completely automated – just like they all should be! We have a very simple branching strategy (as we only ever have a couple of people working on it). We use pull requests to manage feature branches and anything that hits the master branch goes live. HockeyApp has a REST API that allows you to upload new versions quite easily. We went through a couple of iterations before this process became easy though. At first we tried pushing packages using PowerShell. This didn’t work too well… unfortunately the API uses multiple form fields to accept the parameters and PowerShell’s built-in web commands aren’t the easiest to accomplish this with. So we wrote a C# console app to do it. This worked, but was a little nasty because we actually needed to compile and include it as an artefact for a later build to use. They’re all the same right…? Yep – that’s the point. The only thing you need to remember is that the application IDs need to be the right one for your platform and you need to ensure you have the right package names. The commands above have been parameterised so that you can store the application IDs and HockeyApp token as TeamCity parameters. This would be really handy if you wanted to say have multiple release channels (alpha/beta/RTW) by using a build template and setting the parameters on each configuration. You may also notice the CiBuildNumber parameter in the iOS command. As this is a chained build we can pick up the Continuous Integration build’s number (which we’ve set up to be a version number – e.g. 1.3.7.0) and add it as a configuration parameter so that we can easily reference it in scripts. So we did the only logical thing… spun up a very small team to build an app. While I could regale you with stories of building APIs and authenticating with Azure AD – I’ll leave that for another day and describe one of our larger challenges: building and packaging the app. Aaron Powell has actually already written a blog post about how we handled versioning. This post will describe some of the challenges and considerations for process of building the app from source control and packaging it. First off, let’s address the elephant in the room… We used TeamCity. In the beginning, we weren’t really sure how much to structure our builds, whether we’d target Mac or Windows, etc. So we chose the most flexible system that we knew. As a consultant, I spend a lot of time answering questions with “it depends…” and that definitely is the answer when asked what build system to use. I’ve used it a LOT so I’m comfortable with it. So instead we chose to run our builds on a Windows VM that would utilise the Xamarin Build Host on its Mac host to build the iOS app. So we chose Enterprise provisioning for iOS and Windows Phone and a generated keystore for Android. This means we can use something like HockeyApp for distribution. This method of provisioning would also work well for distributing apps to testers before they are published to a store. If you’re pushing your apps straight into a store then you’ll need to follow the guidelines for each platform’s provisioning. Check out Xamarin’s docs for a step-by-step guide on doing this. Store this in a safe place. Using an Enterprise distribution profile meant we needed to distribute an AETX to our users in order to trust applications signed for our enterprise. We then need to sign the XAP (or APPX) file that is produced as a post build step. The trick here is to ensure that the manifests have the right author and publisher details in them. XAP projects have a WMAppManifest.xml file in the Properties folder. In this file the App element should have the Author and Publisher attributes set to the CN of your certificate. APPX projects have a Package.appxmanifest in their root. The Identity element’s Publisher attribute needs to match the certificate’s distinguished name and the Properties/PublisherDisplayName element should have the certificate’s CN as its value. They’re important. Follow the guides on the Xamarin docs for preparing iOS and Android for distribution carefully. They’re full of golden nuggets and are sure to get you through some tough times. Xamarin Components are fantastic! They’re just like commercialised NuGet packages. However, getting them to work just like NuGet packages is a little bit tricky. There’s a command line tool available on https://components.xamarin.com/submit (direct download) that is used to package or restore components in a solution. To use this tool you need to authenticate with it. When you do, it drops a cookie called .xamarin-credentials in your home directory (~). It then uses that cookie for subsequent operations. We chose the source control + environment variable option because it seemed a little neater than littering my home directory. Looking back, there’s so much manual set up in any agent that I’m going to suggest running it manually on the agent. We actually had a couple of iterations of build configuration. We started with a highly parallelised set of builds chained up the wazoo… and simplified it down to 2. The first compiled and packaged the applications and published them as artefacts on all branches. The second, which only ran for changesets on the master branch, grabbed the artefacts from the previous build and published them to HockeyApp. Windows Phone signing also proved to be very difficult with the Enterprise profile. We originally used this because we didn’t want to be spinning up shadow accounts for each platform to get certificates, but signing and distributing a XAP/APPX manually is quite convoluted and tricky. We learnt a lot from this project about Xamarin. By the end we had spent more time on infrastructure pieces (i.e. exposing APIs, build configurations, integrating third party components, etc) than actually putting the core functionality in. It was great fun and I wouldn’t change it for the world! After I bought my Raspberry Pi I went through a little period of uncertainty that most other owners have, asking myself “how do I make this thing useful?” It didn’t take long before one of my colleagues created a GitHub repository for a little project that had been sitting around for a while – TeamFlash. TeamFlash is a build light client app for TeamCity. It monitors the build server to find the status of the latest build and flashes a light in a different colour depending on that status. 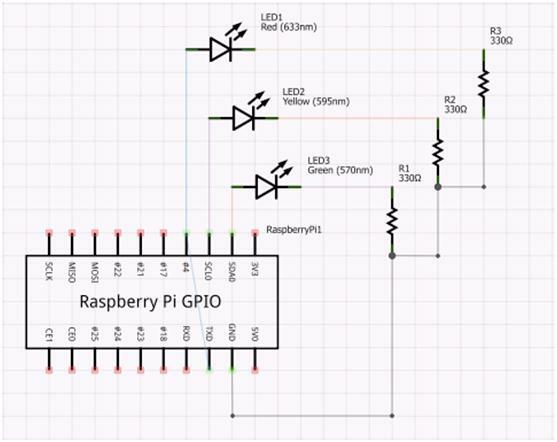 Having a little bit of electronics know-how, I wanted to see if I could make my Raspberry Pi into a standalone build light. 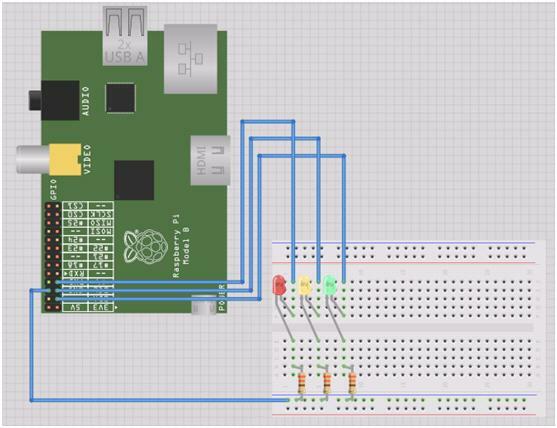 Here’s how you can get TeamFlash working on your Raspberry Pi. I’ve got some standard LEDs from an old Arduino kit, so I’ve hooked each of those in serial with a 330 Ohm resistor to ensure the forward current is within the correct range. Go to http://www.raspberrypi.org/downloads and get the latest release of Raspbian. Follow the instructions and get it up and running. Otherwise you can clone the repository and compile it on your desktop/laptop and just move the output (contents of TeamFlash/bin/Debug) around on a USB key. When using nano, simply change the appropriate values and hit Ctrl + X to exit – you will be prompted to save. I’ve been on a little twitter rant recently about this, and thought I’d use my blog as another distribution medium. Feel free to leave comments here, here (connect forum) or here (jQuery Mobile forum). When you link to an anchor on your page using a hash, the back button doesn’t seem to work too well. Navigating forward on a jQuery Mobile site works perfectly as expected. It’s when you hit the back button that things go wrong. On a desktop browser, going from the landing page to “Into to jQuery Mobile” swipes in the intro page and hitting back swipes it out again to show the landing page. However, on Mango, hitting the back button when on the intro page does nothing. If you were on another site before you went the the demo landing page, then hitting the back button again will take you back to the previous site. UPDATE 14 July 2011 – It’s been noted that the jQuery Mobile docs site mentioned does work in previous builds of WP7, running IE 7 Mobile. This verifies that this issue has been introduced with IE9 Mobile on WP7 Mango. UPDATE III October 2011 – The issue appears to have been fixed in Mango RTM. The other day I ran into a little problem. I wanted to be able to post some JSON to a web service and have it accept a whole bunch of data (not exactly the technical term) that was not predefined. The thought behind this was that I wanted to supply two required properties (a and b) and basically have a dynamic bag for everything else. Also, I didn’t want to be restricted to a single layer of properties. Instead, I wanted to be able to pass a deep tree and have it totally accessible. As expected, the JsonValueProviderFactory has kicked in and populated the values of a and b using the JSON provided. However, it cannot match c properly so simply throws an object at it that is not dynamic and does not have values on it, hence useless. After some searching, I found a few valid solutions. The most useful one was this blog post by Anoop Madhusundanan. In this post, he describe the process of using a model binder and a custom model binder attribute to identify parameters of an action method that are to use the model binder. This seemed like a great solution for me, but had a couple of little problems… Most importantly, Anoop’s solution does not allow for multiple parameters on an action method or mapping the parameter to the property in the JSON object. I came up with a very similar way of solving this problem. I created a class named DynamicJsonBinder which implements IModelBinder, just like Anoop. The main difference with my solution is that I provided a way to ensure that the parameter being populated with the dynamic object is mapped based on the name of the parameter. This is done by using a switch on the attribute called MatchName, which will cause the binder to look at the parameter name and find the matching property in the JSON object to return. We see that c has been populated with a DynamicJsonObject (the result of the call to Json.Decode) and that it has recursively mapped the properties under the JSON object to dynamic object. However, the value is the entire JSON object, that is it’s not mapped to the c property. And we see that the property has been matched correctly and the correct value is passed through to the parameter. Using these two simple classes and a bit of dynamic know-how, I’ve managed to post anything to my web service and have it dynamically accessible. This basically means we have the equivalent of a property bag on steroids that can be queried and manipulated in the same way as any dynamic object. We can even re-serialize the dynamic object to JSON and store it as is if required. This is a follow-up post to my Windows Phone 7 presentation last week at the SDDN. I have uploaded my powerpoint deck to SlideShare. Some of the sample apps I used are available on MSDN. And there was a recent video on youtube of an awesome golfing app that really shows the power of the WP7 UX. There’s lots of information hiding within about 10 links on MSDN about how push notifications for WP7. The short of it is the phone opens a HttpNotificationChannel which gives it a unique URI for your applications to send notifications to it. There are three types of notifications – tile, toast and raw. Tile notifications are used for changing the background, count and title of the application when it is pinned to the Start screen. Toast notifications provide unobtrusive notifications to users when they are outside the application, allowing them to step in easily to perform an action. Raw notifications are messages of any format that can be sent to the phone application and received while it is active. WARNING: There’s a lot of code here… Please read the Client Side and Server Side sections before believing you are qualified to download the sample. 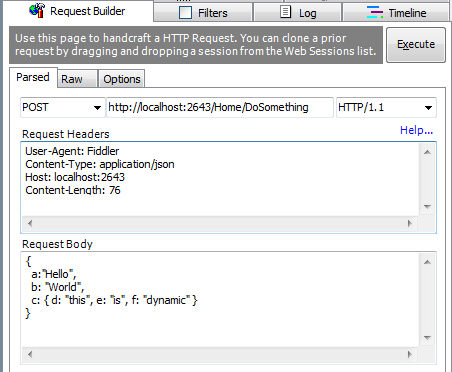 The sample has a thin WPF client implementation over the server side code to make it a little easier to get started. Remember to check the Debug output window for the phone application when you need a Uri to send a notification. There are a couple of things to note. Firstly, the Subscribe() method is called in the Application_Launching and Application_Activated events. This is due to the tombstoning nature of WP7. Next, there are separate event handlers for Toast and Raw notifications. They are handled differently because toast notifications have a definite payload format that specifies the ability to send to pieces of text (a title and a message). A raw notification can be anything, which is why I have decided to simply surface the string representation of the payload. A toast must also be handled if the application is executing – i.e. it will not be displayed by the OS. Also, there is no tile notification handler. This is because the OS handles this directly. Lastly, the ChannelUriUpdated event handler. This is necessary for your phone application to let the server application know that there is a phone waiting for notifications. When this occurs, the phone application should call a web service to register the URI. The NotificationService class will write this information to the Debug console whenever the application is started, so it is not required for debugging purposes. As I mentioned earlier, you can download all this here. Otherwise, feel free to read through this (or just copy/paste it) to get a better understanding of how the HttpNotificationChannel works. /// Subscribes to the notification events on the channel. /// and bound to shell tile and toasts. /// Unubscribes from the notification events on the channel. /// and toast notifications as well as events. /// Subscribes to the channel's events. /// Closes the channel and disposes it. /// Event handler for the ChannelUriUpdate event. /// Raised when the notification channel is given a URI. /// registered and what the notification URI is. /// Raises the ChannelUriUpdated event. /// Event handler for the HtppNotificationReceived event. /// This is called when a raw notification is received. /// Occurs when a raw notification is received. /// Raises the RawNotificationReceived event on the UI thread. /// Event handler for the ShellToastNotificationReceived event. /// This occurs when a toast notification is received on the channel. /// This must be handled by the application if it is running when a toast is received. /// Occurs when a toast notification is received. /// Raises the ToastNotificationReceived event on the UI thread. /// Event handler for the ErrorOccurred event. /// Handles different events according to ErrorType. // something went severely wrong. lets wait a while before trying again. // not bound to the shell tile. // too many notifications have been received in too short a time span. // a bad payload was received. re-establish the connection to overcome this. // the type notifications we're receiving is going to change. 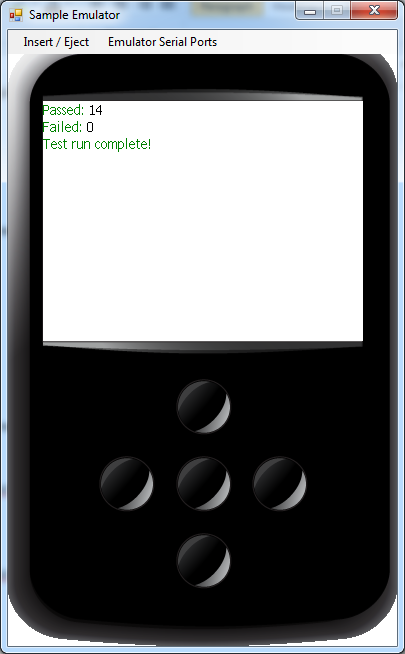 Remember, to get the Uri just watch the Debug output window when your WP7 application starts up. [Update 2010-08-27] Added extra check to Client.NotificationService.BindChannel() so that a channel that already exists but does not have a URI is disposed and a new one is created.